Badia a Coltibuono is about one thousand years old but its prehistory dates back to Estrucan times and beyond. As we know it today, Badia a Coltibuono (which means Abbey of the Good Harvest), dates from the middle of the eleventh century. Under the guidance of Piero Stucchi Prinetti, the estate grew and built a solid reputation in Italy and abroad through the high quality of its products. 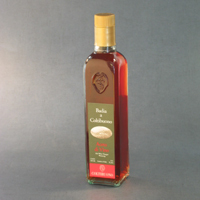 Crafted by Badia a Colitibuono this classic vinegar aged three years in oak by one of Italy's best wine producers. 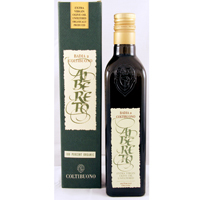 Robust taste, aroma; 7.0 % acidity.